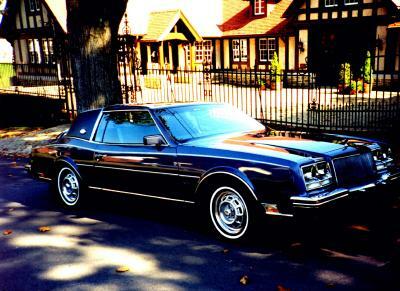 Barry is the second owner of this Riviera. He purchased it in June 1993 with 14000 original miles. It had always been garaged and all service was documented in the owner's manual. It is dark royal blue with blue cloth interior and now has 20000 miles. It is loaded with options: Bose radio, 307 V-8 engine, trunk pull down, deluxe gray trunk lining, rubber GM trunk mat, digital instrument cluster, illuminated entry, theft deterrent system, chrome road wheels, power mirrors, power recline- driver and passenger seats, memory driver seat, touch climate control, 4-note horns, halogen headlamps, light monitors, rear quarter panel reading lamps, Riviera splash guards, GM compass, automatic day/night mirror, passenger power seat, lighted visor vanity mirrors, low washer fluid indicator, landau top/coach lamps, rear defog, twilight sentinel,tilt wheel, leather-wrapped sort steering wheel, cruise control, painted white pinstripe, protective side moldings, electric trunk release, carpet floor mats- front and rear, Royal Seal tires with wire covers (stored away for shows), and Buick keyless remote entry system. Barry purchased this Riviera in March 1998. It had previously been discarded as salvage because of an engine compartment fire and had sat in a garage since 1989. It still has the original engine with 68000 miles. 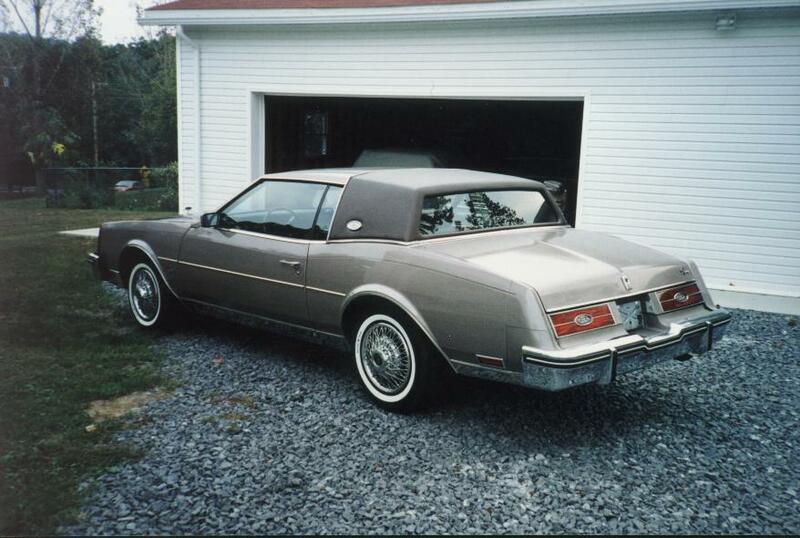 This Riviera was also manufactured in September 1983. It has a long list of options including: Concert Sound (6 speaker) system, AM/FM stereo cassette with equalizer, CB, landau top/coach lamps, illuminated entry, theft deterrent, touch coimate control, power mirrors, rear defog, deluxe gray trunk trim, rubber GM trunk mat, electric trunk release, passenger recliner, cruise, tilt, leather-wrapped sport steering wheel, chrome road wheels (not shown), tri-band antenna, automatic day/night rearview mirror, twilight sentinal, 4-note horns, low fuel indicator, low washer fluid indicator, 307 V-8 engine, protective body moldings, halogen headlamps, light monitors, dark brown pinstripe, power passenger seat, dark brown leather seats with storage console, rear quarter panel reading lamps and carpet floor mats. It will soon have trunk pull down and reclining drivers seat.